Normally, when you’re lowering your car, part of what you’re trying to do is reduce drag, not add it, right? 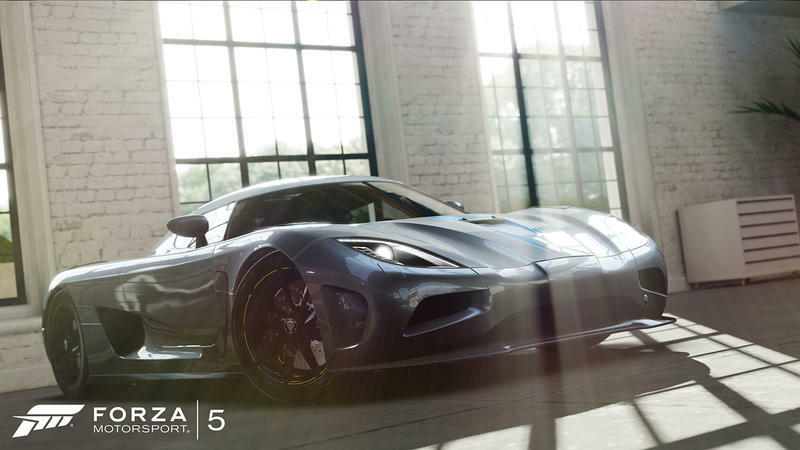 Well, Turn 10 is doing just the opposite with their upcoming patch to Forza Motorsport 5. The latest in the Forza series of games has had a rough launch. We loved the driving but were unhappy with elements that made the game feel like a microtransaction cash-grab. Sure, the game didn’t force you into microtransactions (because that would be some serious mob action right there), but it sure made it feel like it wanted you to keep your wallet ready. Missing features and slowed progression hurt the game considerably. Turn 10’s first attempt to resolve the issue included a steep sale, bonus credits for dedicated fans, and free cars for VIP Pass owners. All were nice gestures and certainly appreciated, but mostly felt like hush money. The latest title update, which could arrive as soon as next week according to IGN, is a bit more like the usually-responsive Turn 10 we know and love. The 200+ cars that come on the game disc will see a 45% reduction in price, while the money players pull in per race will more than double. Turn 10’s creative director, Dan Greenwalt, explained to IGN the data that influenced the pricing and earn rates in Forza 5 was based on Forza 4 data, but found that people are playing Forza 5 differently than anticipated. Exotic cars should take, between price reductions and increased rewards, about one-fifth as long to obtain. In the past, Forza‘s tokens system felt like a nice option for people with less time, rather than an ugly way to make money, even if it was still technically an ugly way to make money. This update will do a lot to assuage my personal frustration with the game’s economy, and I suspect it’ll do the same for many other fans. The cars are still over-priced on the Tokens side of the economy, but it also won’t feel so much like the game is trying to force the token option down our throats. In addition to the massive changes to the economy, Turn 10 is also adding drag racing and tag modes to the game, which will support up to 16 players. The tag mode will have three variations: Keep the It, Tag Virus, and Pass the It. The modes ask you to maintain, spread, or avoid the “it” status and should be a good way to encourage players to not crash into each other (or crash into each other more, as the mode dictates) for once. Hopefully this is the first of many updates to come. Now, I’m going to back to Rivals mode. I have some lap times to beat.